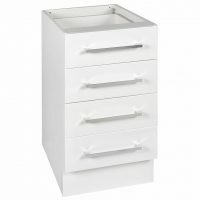 Elegant and spacious, this 80cm 3 Drawer Alpine Base Cabinet is the ideal storage solution for your pots and other large kitchenware. Featuring a well-thought-out design, the lowest, and largest, drawer is to design to store pots and pans, while the two smaller drawers come in handy for smaller kitchenware. 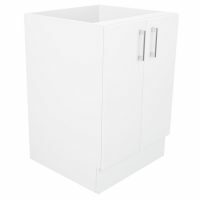 This drawer base cabinet comes fully assembled, which makes a DIY kitchen renovation a piece of pie. 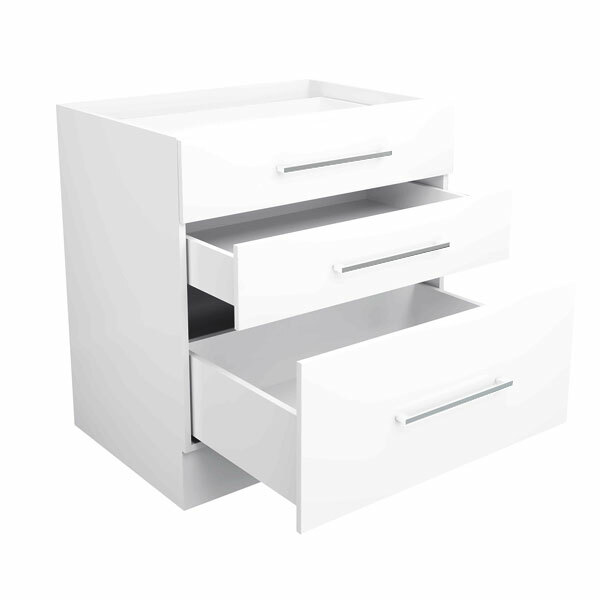 Flaunting contemporary looks, this drawer base cabinet is available in a high-gloss white finish and is equipped with chrome handles. 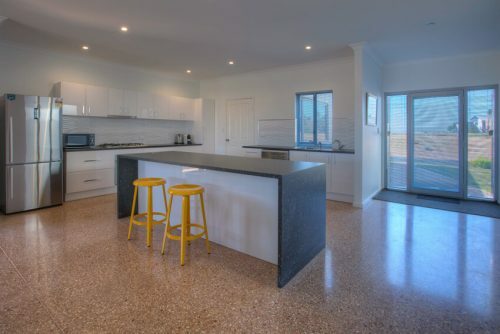 This unit will complement other décor in your kitchen and will make it look much more elegant. Highly resistant to moisture, the drawer base cabinet is manufactured using top quality HMR board. The 2 pack surface is scratch resistant and can be cleaned by simply using a damp cloth. 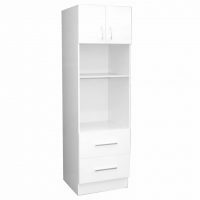 Thanks to the robust frame construction, this cabinet is quite sturdy and will easily withstand years of heavy use. 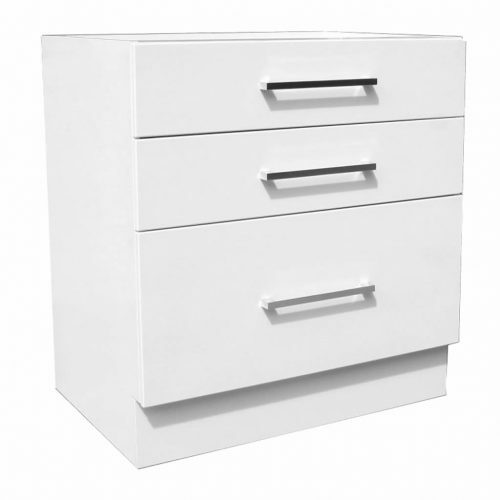 To justify the merit of this product’s quality, the 3 Drawer Alpine Base Cabinet features an impressive 5 year guarantee on materials and workmanship. 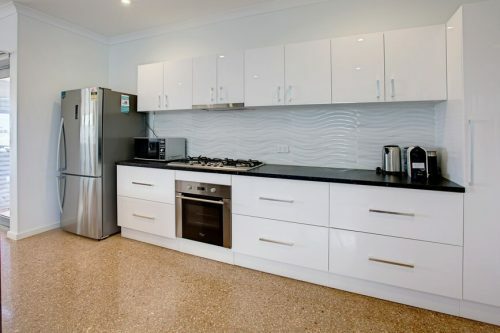 For quality base cabinets at an attractive price, count on Ross’s Discount Home Centre.